If somebody was to ask you your favorite sport, you might say football, basketball, cricket or some other traditional sporting code. But to many young(ish) people the answer may well be eSports. If you haven’t heard of eSports, you're not alone. It is a relatively new activity. But it is incredibly popular. 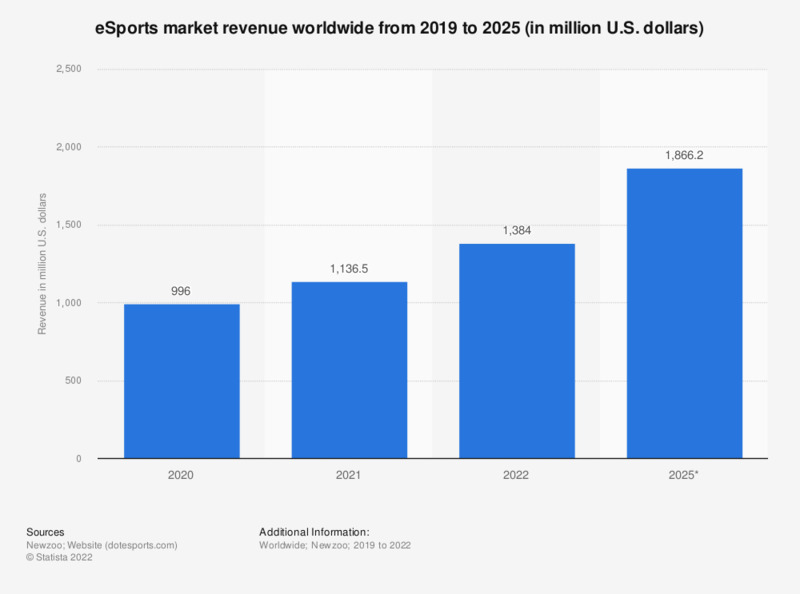 According to Statista, eSports generated $US696 million revenue in 2017 and enjoyed a worldwide audience of 385 million. The 2016 League of Legends World Championship generated 36 million daily views globally. The purse for the 2017 International Dota 2 Championship was an impressive $20 million. The winning team, Wings Gaming from China, got to see $9.1 million of that, which they split between the five teammates. 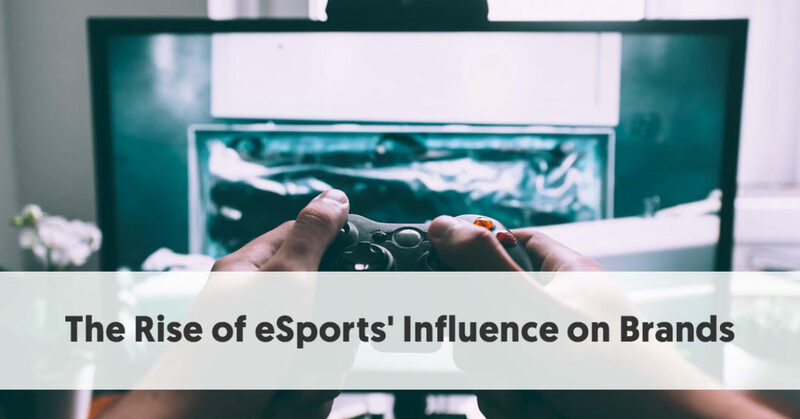 With the rise in interest in eSports, there has also been a rise in eXports’ influence on brands. Newzoo predicted that eSport’s total revenue in 2017 would be $660 million, of which $484 million would be from brand investment revenues – media rights, advertising, and sponsorships. This is a 33.9% increase on 2016’s earnings. They believe that these figures will further increase to total revenues of 1504 million in 2020, of which $1233 million would be brand investment revenues. eSports is the official name given to competitive video gaming. The days of playing video games solo on your game console or computer are well gone. Video games are now multiplayer and competitive. And for the most talented gamers, the rewards can be lucrative. As internet access has improved, and computation power increased across a range of devices, it has become more practical to compete online with others. You can find multiplayer versions of most types of games nowadays – even traditionally solo genres like city building and simulations. Just as those with athletic skills train and compete to show off their skills, those with pixel prowess spend many hour training, learning every nuance and trick in their preferred games. eSports is a natural evolution of the digital era in which we live. If you go back to the pre-electronic age, kids spent most of their time playing outside. This was what the average kid loved. They looked down on their peers who stayed inside and read. The original electronic games like Space Invaders and Pong were almost counter-cultural. Most people played them in an arcade or wherever the local youth hung out. Many parents thought these games seedy, and they disliked and discouraged their offspring paying games. There were indeed some cases of juvenile crime surrounding the release of Space Invaders in 1977. A girl was reported stealing $5000 from her parents and gangs of youths apparently robbed grocery stores so they would have money to play the game. Despite their parents’ disapproval, the teenagers of the 70s started the love of electronic gaming that still remains today. Nowadays, the arcades are well gone, but their legacy remains. Today’s e-Gamer may laugh at dad’s stories about chasing Pacman or trying to bomb bases in Xevious. Yet these are really just an evolution of those times. Technology's improved. Ideas have expanded. People compete with each other, not only with the machines. But more often than not, it still comes down to who can rack up the best score for killing aliens on an electronic device – not that far removed from what we did on Space invaders all those years ago. If you aren’t into eSports, you may never have heard of multiplayer online battle arenas (MOBAs). But they are huge. The traditional MOBA pits two teams of five players. A team controls a hero with unique abilities in a large-scale online battle. Each group has to try and destroy the opposition’s structures while defending their own base form attack. Some of the games that follow the standard MOBA pattern are Starcraft and Warcraft III. Four of the most popular MOBAs are League of Legends, DOTA 2, Smite, and Heroes of the Storm. While exact figures can be hard to find, League of Legends acknowledged in September 2016 that they had passed 100 million users playing in their league each month. While eSports may not be your first thought when you change the channel to ESPN, it has a significant fanbase. The most-watched event in recent years was the Intel Extreme Masters Katowice in 2017. 46 million people tuned in to see how the competitors stacked up against each other. This was a multi-game tournament and included competitions in League of Legends, Counter-Strike, and Starcraft. To put this 46 million figure into perspective, the 2017 NBA finals attracted 20.4 million viewers (and that was the highest NBA ranking since 1998). While eSports still have some way to go to match Super Bowl’s 111 million viewers, they must be considered to be a serious sport. The Intel Extreme Masters Katowice was not an isolated incident, either. The Legends World Championship, held in October 2016, attracted a healthy 43 million viewers, too. ESPN has recognized the popularity of eSports. They accept it as a sport, and broadcast competitions on their network, besides more traditional sporting events. Traditional sport has been slower than many sectors to embrace the online era. To a large extent, this is because professional sport is locked up in complicated rights classes with traditional media companies. Many have fought tooth and claw to stop live streaming, and do anything they can to keep their pay-per-view audiences. When you see headlines like, Battles over music and sports streaming dominate high court, in the UK’s Guardian, you see just how much effort traditional sporting bodies place into trying to control who can view their matches. Most people who watch important sports games do so on traditional television (if they aren’t lucky enough to attend the game live). All these legal battles and threats ignore the reality of the digital age, though. To Generation Z, traditional sports are “Old School.” eSports belongs to this era. Sports sponsorship can be powerful. Many well-known brands have closely connected to particular sports teams. Sometimes the teams even take on the brand’s name. Certainly, there are many sporting stadiums which change names every few years, depending on who has offered the most sponsorship money. But there are only so many opportunities to sponsor well-known teams. And most sponsorships are exclusive within an industry. Once a brand signs a deal, they know that their competitors will be locked out from also becoming a sponsor. This reaches extremes with major sporting events. Often competitors are not even allowed to advertise within a certain distance from stadiums, or within the television broadcasts of the games. eSports has provided the opportunity for a broader range of brands, of varying sizes, to market around a sport. There are quite a few different ways that brands can connect to eSports. Coca-Cola, for instance, operates a dedicated eSports Twitter channel – Coke Esports and uses the hashtag #CokeEsports. Back in 2014, they teamed up with Riot Games to form the League Championship Series (LCS), the top tier of competitive play. They are still involved with the much-expanded league to this day. They hold eSports viewing parties in cinemas around the world. With so many new titles coming down the pipeline this year, which upcoming title are you most excited to play? CocaCola has recently expanded its interest in eSports, along with its long-time interest in football, with the global launch of eCOPA Coca-Cola – a global EA Sports FIFA 18 tournament. EA Sports FIFA 18 includes a rare example of incorporating influencer marketing into the gameplay. The game follows the virtual career of a footballer, Alex Hunter. In the story mode of the game, Alex signs an endorsement deal as a brand ambassador for Coca-Cola Zero and films an ad for the brand. Players have the opportunity to tell Alex’s story over 200 minutes in the game, including having him perform marketing work for Coca-Cola. Coca-Cola isn’t the only drinks company involved in eSports. Mountain Dew sponsors three eSports squads - Team Dignitas, Splyce, and Team SK Gaming. These are world-class competitors. They also operate the MtnDew Twitch Channel. This live streams gaming matches, most Tuesdays, Wednesdays, and Thursdays. In 2016, they created the Mountain Dew League (MDL). This is a professional competitive gaming league designed to help amateur gamers increase their skills to become pros. It should be no surprise that Red Bull has a significant commitment to supporting eSports. They are one of the most social media, non-traditional sports, and youth culture savvy businesses on the planet. Red Bull has sponsored many players, teams, and events since 2006 – practically the Ice Age of eSports. They regularly host and broadcast live gaming competitions where both amateurs and pros can enter and win prizes. These include the Red Bull LAN competitions and Red Bull Battle Grounds. Taco Bell focuses its efforts at a different level of the eSports community. They provide free food to the game creators, with the Indie Game Garage. This contest offers indie game developers $500 of free Taco Bell and gives them opportunities to work with leading game publishers, streamers, and high profile members of the gaming community. So who is your typical eSports supporter? Most computer gamers (who watch and participate in eSports) are aged between 18 and 34. Contrary to stereotypes, it is not anti-social acne-scarred teenagers who play computer games. That is why there are so many R18 games – most gamers are over 18. Most hard-core computer gamers came from relatively wealthy households – it’s not cheap to buy the level of hardware that these guys desire. As you would expect, this ai a tech-savvy demographic, most of whom are online. The fans may not have the high-powered equipment of their heroes, or the coordination or skill to win the online battles themselves, but they love to spend their leisure time watching eSports battles. eSports followers spend much of their time arguing the score across a range of social media networks. With them being young(ish) and tech-savvy, you are more likely to find them on something like Twitch, which streams many of the battles. The eSports supporters watch most of their “battles” through live streaming on platforms such as Twitch, YouTube Gaming, Hitbox, and Mirrativ. The cable channels have noticed the increase in support, though, and so you can now find some of the battles shown on digital television channels, such as TBS and its digital platforms. ESPN recognizes the demand and broadcasts some of the more significant competitions. Remember that the key to successful influencer marketing is brands working with authentic influencers who understand their followers. This means that if a brand wants to engage with eSports influencer marketing, they need to find influencers who are digitally-savvy and relevant to today's youth. Yet there is still a stereotype of eSports fans and computer gamers as being pimply teenage boys, huddled like mushrooms in darkened rooms. The traditional media loves to feed off this image. It is probably no surprise that eSports fans tend to shun such media. That is one of the reasons why they spend their time on niche sites like Twitch, with people who understand their needs and desires. Those who make a name for themselves in these places can be highly effective influencers – eSports fans would trust their views over anything they saw published in a more traditional location. This loyalty follows through to the brands that influencers promote. Their followers are likely to take a genuine interest in what their influencers support. In some ways, they are like traditional sports fans, though. They have favorite players and teams they support. They take notice of brands who support and sponsor their online heroes. Some of the best-known players are gaining a more comprehensive profile. One of the top Starcraft players goes by the name of Scarlett – yes, there are many accomplished women playing eSports. She has a good enough reputation for New Yorker to have written a profile on her. Brands are learning that there are many opportunities to provide YouTube and Twitch sponsorships. Up to 90 percent of modern gamers turn to YouTube each week for advice and help on improving their gaming skills. eSports and computer gaming are now becoming incredibly serious. We have come a long way since you played a game against a computer or console to kill a few minutes. eSports is now a high-stakes competitive competition, and the participants are just as determined to win their games, as any professional sports star.